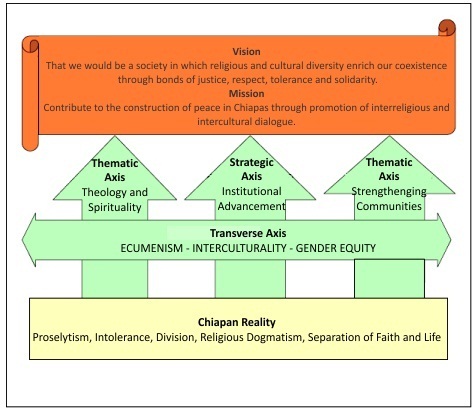 INESIN is a civil-society organization that strives to contribute to the construction of peace in Chiapas through promotion of interreligious and intercultural dialogue in projects focusing on topics such as prevention of domestic violence, positive conflict transformation, migration, personal spiritual growth, Biblical translation, and strengthening Chiapanecan communities. We also work to unite a group of people committed to the advancement of studies related to holistic human development and the social, economic, historical and environmental context of Chiapas in order to analyze daily life, education, family, religion and work. We dedicate our work to the service of society in and from an intercultural perspective. That we would be a society in which religious and cultural diversity enrich our coexistence through bonds of justice, respect, tolerance and solidarity. INESIN does not believe or claim that all denominations should become one or lose their unique identities. We believe that diversity itself is a tangible and varied manifestations of God’s grace. Contribute to the construction of peace in Chiapas through promotion of interreligious and intercultural dialogue. We promote relationships based on peace, tolerance and respect between Christian denominations through inter-confessional dialogue and encounter in our courses and workshops. We recognize our differences as we learn that we can work in harmony together to achieve common objectives such as promoting justice and working towards peace. INESIN originated out of the concern of men and women such as Bishop Samuel Ruiz and pastors of the United Church of Christ (USA) who were deeply committed to and concerned for the people of Chiapas. Following the arrival of many Guatemalan refugees in the 1980s and the Zapatista uprising in 1994, these people began to contemplate what they could do from a pastoral and ecumenical perspective to advance reconciliation among Chiapanecan people. In this context, the Escuela Bíblica de Formación Integral (Bible School of Holistic Formation) opened in 1996. From the time of its formation, the institution has focused on promoting respect of differences, tolerance, and healthy relationships between different religious groups, all as an effort to help end religiously motivated hostility. From its formation, the Escuela Bíblical de Formación Integral has offered workshops addressing topics such as health, popular education and the Bible. A mix of Catholic and Protestant priests, pastors and laity have participated in these workshops and continue to share positive experiences of ecumenism with their communities. In 2002, the Escuela Bíblical de Formación Integral became legally recognized as a nonprofit organization under the name Instituto de Estudios e Investigación Intercultural, INESIN, Asociación Civil (Institute for Intercultural Studies and Research). 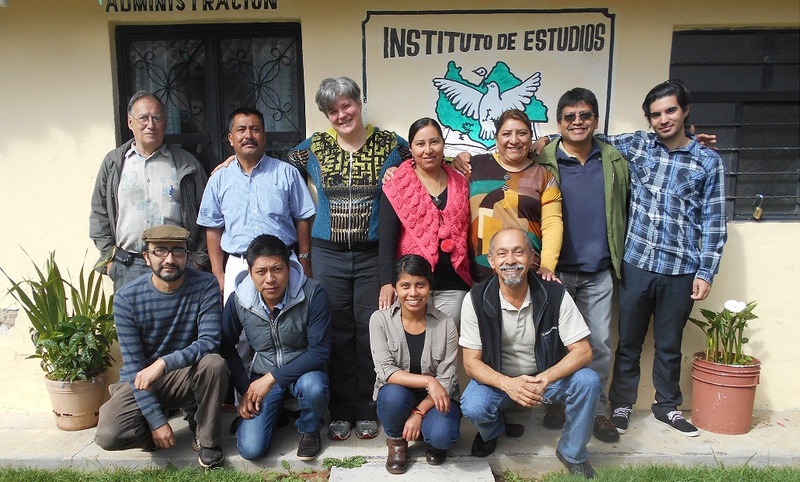 Throughout its history, the Escuela Bíblical de Formación Integral, now INESIN, has counted upon international support and solidarity, with both salaried and volunteer staff from a variety of nationalities and religious creeds. Despite differences, all staff members share the same goal: to contribute to peace-building in Chiapas from an intercultural and interreligious perspective. Currently, INESIN is present in 33 municipalities and close to 4,000 people participate in its work each year. Through its 15 years of work, INESIN has learned that there cannot be peace without justice and respect of differences. Instituto de Estudios e Investigación Intercultural, A.C.